LONDON, UK – MARCH 13, 2017: Ahead of London Book Fair, author and founder Jeff Norton shares that 2017 is Awesome’s biggest publishing year ever. 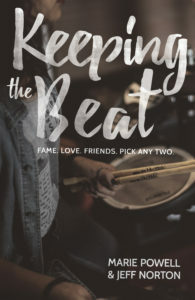 KEEPING THE BEAT – New YA imprint KCP Loft (distributed via Hachette) will publish the YA rock’n’roll thriller in hardback in English-speaking territories. Foreign translations are being brokered by the team at Kids Can Press. ‘Keeping The Beat’ is written by Marie Powell & Jeff Norton, and edited by ‘The Hunger Games’ editor, Kate Egan. 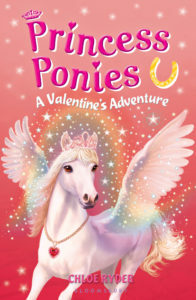 PRINCESS PONIES – Bloomsbury will publish four books in a one year exclusive deal with Scholastic Reading Clubs. The new chapter books will each have a holiday theme, starting with Valentine’s Day. Others will celebrate St. Patrick’s Day, Halloween, and Christmas. Foreign rights are sold by Bloomsbury USA. STOMP SCHOOL – Caterpillar Books (an imprint of Little Tiger Press) will publish this novelty picture book on August. 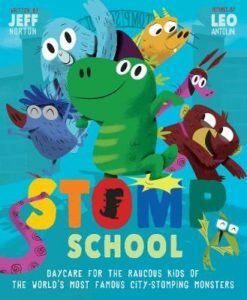 ‘Stomp School’ is a raucous story about a young kaiju’s misadventures at the day care for city-stopming monsters. The book is written by Jeff Norton with illustrations by Leo Antolini. Foreign rights and co-editions are being handled by Little Tiger. Awesome was founded in 2010 as the corporate vehicle for author Jeff Norton’s intellectual property (IP) and has now grown into a creative company with multiple TV projects, operating at the intersection of book and screen.